Brand new ground floor duplex property with 3 bedrooms, 3 bathrooms and a terrace with parking included in the price for sale in a fantastic new development on Carrer Provença with a communal rooftop pool. 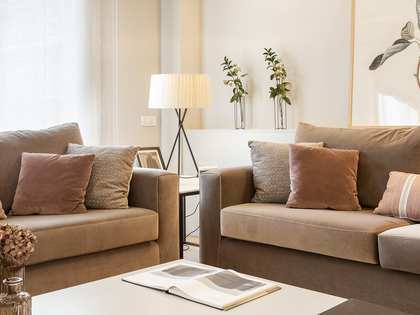 Provenza Granados Apartments is a brand new development, currently under construction, that is ideally located at the heart of the Eixample Left neighbourhood of Barcelona City. 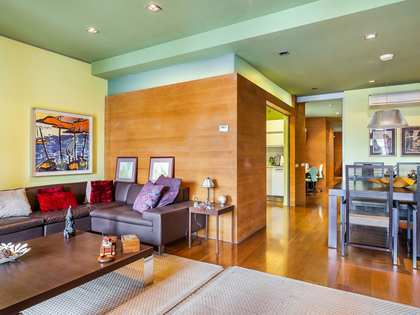 This particular property is a ground floor duplex with a great living room – dining room, semi open kitchen and a guest toilet on the lower floor. The living area offers access to the fabulous 69 m² terrace. Upstairs we find the master suite with its own bathroom and a double and single bedroom which share a bathroom. The owners of this new property will enjoy access to the sensational communal roof terrace with a pool and stunning city views. Finishes shall be of the highest quality with ideal neutral decor, providing an impeccable city home, just awaiting the new owner's personal touch. The price of sale includes a private garage parking space. Completion due the second quarter of 2019. 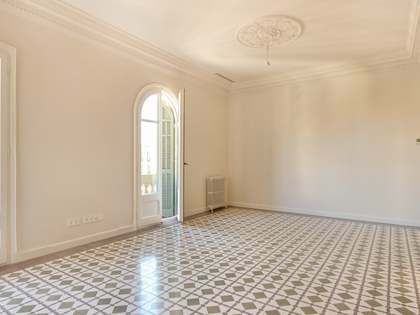 This new development is located on Carrer Provença, at the heart of the Eixample Left area of Barcelona City. 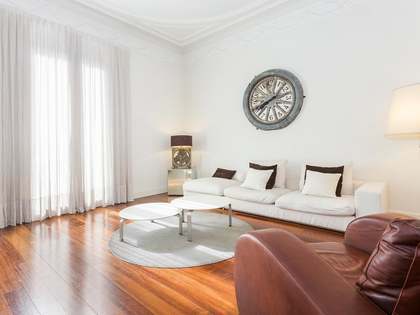 This a central area of the city, very near the emblematic shopping avenue, Passeig de Gracia and all manner of shops, restaurants and services.